Many reasons are offered sometimes violently as to the cause of the racial tension we are facing in our nation. Most only address the symptoms and the focus on the cause is lost in the emotion of the moment and the rhetoric offered by politicians and professional protestors. I don’t want minimize or disparage the depth of feeling that we get caught up in this experience, but emotions seldom generate understanding or solutions. To understand the cause of our present trouble we need to examine the source that goes deeper that race or color or history. Jimmy Buffet wrote in one of his songs that we are “flawed individuals”. “We hold these truths to be self-evident, that all Men are created equal, that they are endowed by the Creator with certain unalienable rights, that among these are Life, Liberty, and the pursuit of happiness”…. Sadly that statement of freedom was not a reality for some even as it was being written. In fact some of the framers of this inspired document owned slaves a paradox that would not be remedied until almost 100 years later, paid for in blood on the many fields of battle during the Civil War. The legal form of slavery was abolished many years ago, but there is a slavery that still exists that is just as binding, that preys on the darker side of our nature, that seeks through our fallen nature to oppress, through prejudice hatred, and brutality. And into this fallen world, inhabited by fallen beings there is a battle of epic proportions between two very different forces. The other committed to destruction of everything and everyone He created, and to deny us the freedom He offers. What we are experiencing is more than a racial problem, a skin problem, it is physical manifestation of this spiritual warfare. Sin that causes us to stand in opposition to God and war against one another. Paul explains in Ephesians 6 who our real enemy is by pulling back the curtain on his schemes and how we wage our warfare against him. This is a spiritual struggle that cannot be won with natural weapons. And our greatest weapon is truth. Jesus loves the little children, all the children of the world….. 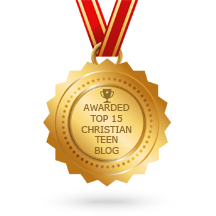 This entry was posted in A CLICK A BLESSING TODAY, Christian Teens Blog JF, CHRISTIAN TEENS BLOGS, Christian Teens Blogs - He is my Peace, Christian Teens Blogs - He is my Peace, Light and Refuge, TAPESTRY TREASURES and tagged Dallas, Darkness, forgiveness, freedom, Martin Luther King, Police. Bookmark the permalink.